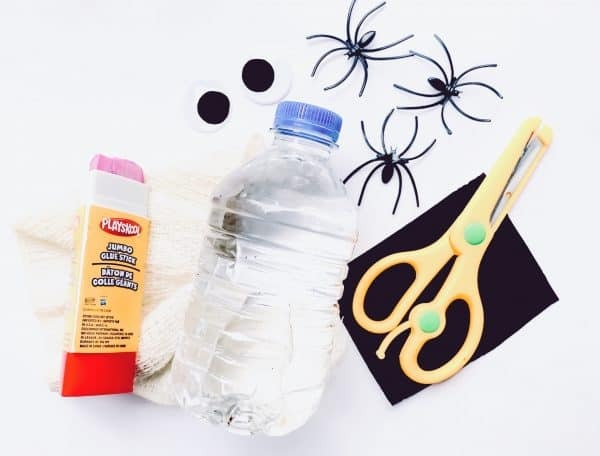 You are here: Home / Family / Crafts & DIY / The Perfect Halloween Lunchbox Surprise: DIY Mummy Water! 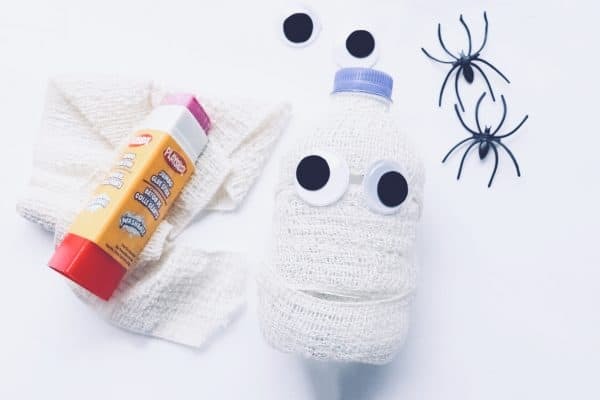 The Perfect Halloween Lunchbox Surprise: DIY Mummy Water! It’s no secret that I absolutely love lunchbox surprises (Do you remember my unicorn sandwich hack a few weeks ago?!). I think that a cute little note of love from home in the middle of the school day makes our kids happier and reminds them they’re loved. It’s also no secret that I absolutely love holidays, and Halloween is no exception! 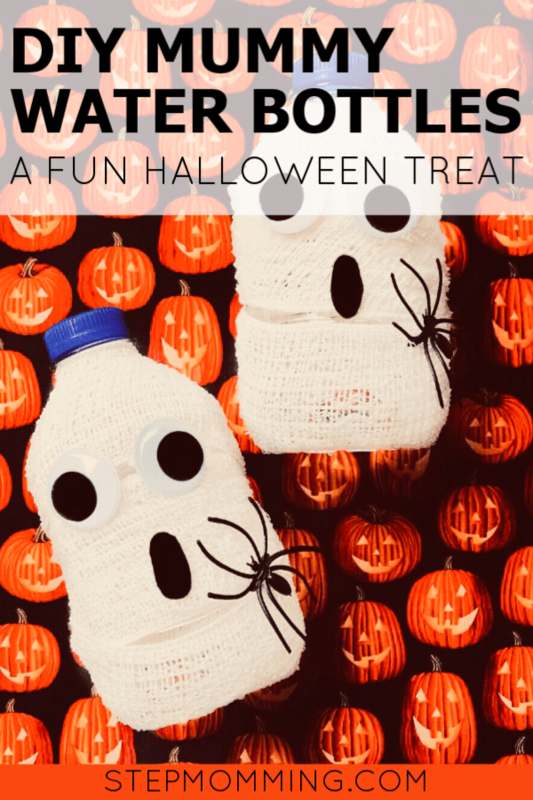 To celebrate, I’m packing my little one’s lunchbox with adorable DIY mummy water bottles and sharing with you this super simple tutorial! 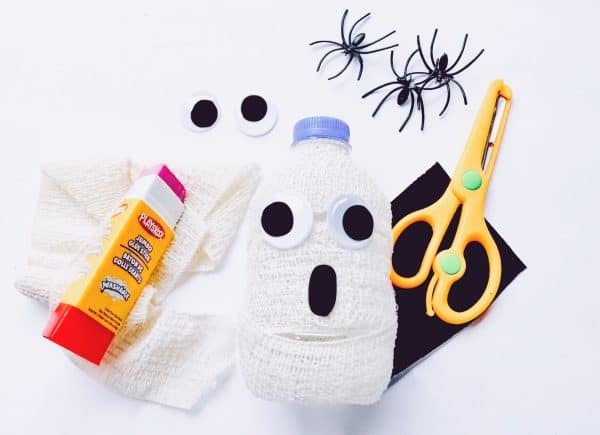 The Perfect Halloween Lunchbox Surprise: Mummy Water! 1. Take a water bottle and your gauze & wrap your water bottle up. 2. 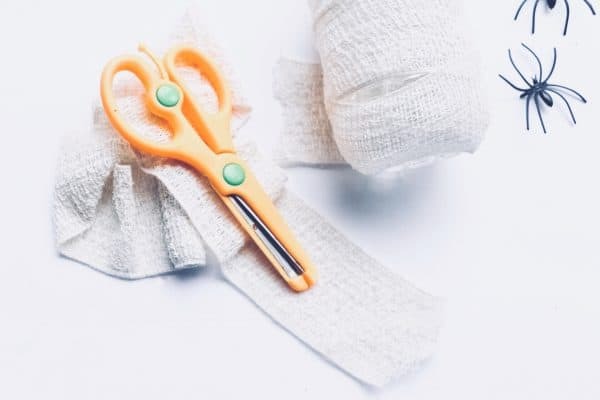 Take your scissors and cut the leftover gauze. Then tuck the end of your gauze into the gauze on your water bottle. 3. Now glue on those googly eyes with your glue stick. 4. Time to cut out a mouth using your black paper. Once you have cut one out, glue it onto your water bottle. 5. Glue on a plastic spider. 6. Ta-Da! You now have Mummy Water Bottles. 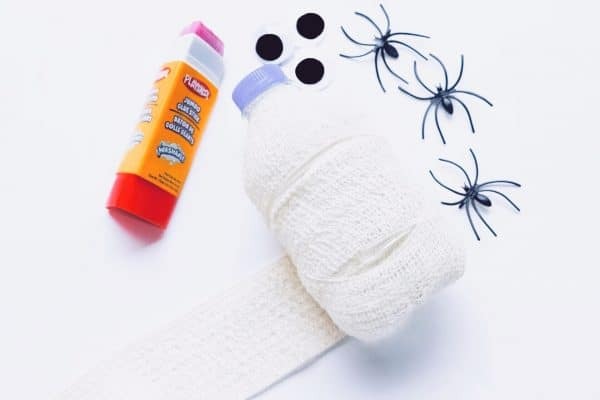 In addition to your fun mummy water bottles, you can add other silly Halloween surprises to your little one’s lunchbox. Throw in a silly Halloween joke handwritten on her lunch napkin. Put a fake roach in her lunchbox. Bake her a cupcake with a fake eyeball resting on the frosting. Or even dye his spaghetti black before you add the sauce. I hope you have a spooky and fun Halloween, mamas! 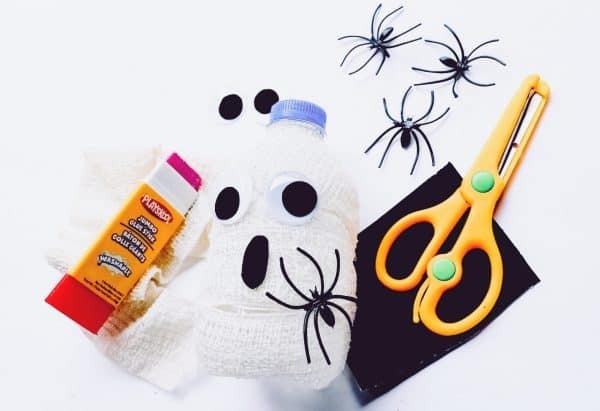 PS: Have you picked out your little one’s Halloween costume?! 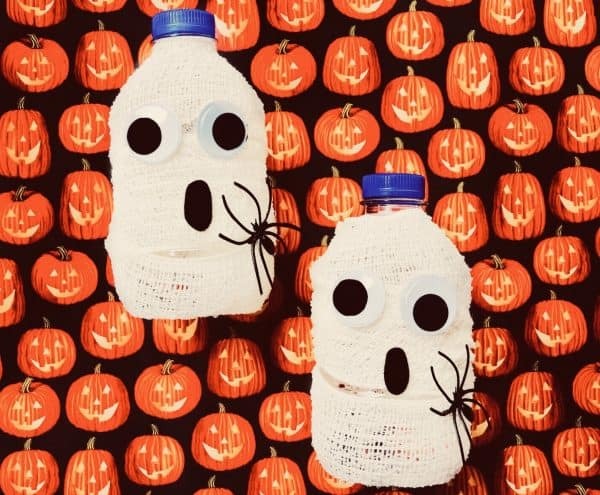 Here are 75+ of the cutest costumes! Hey there, I'm Kristen! I'm an Air Force wife and [step]mom to a beautiful 8-year-old, and I run on coffee, wine, and Amazon Prime. 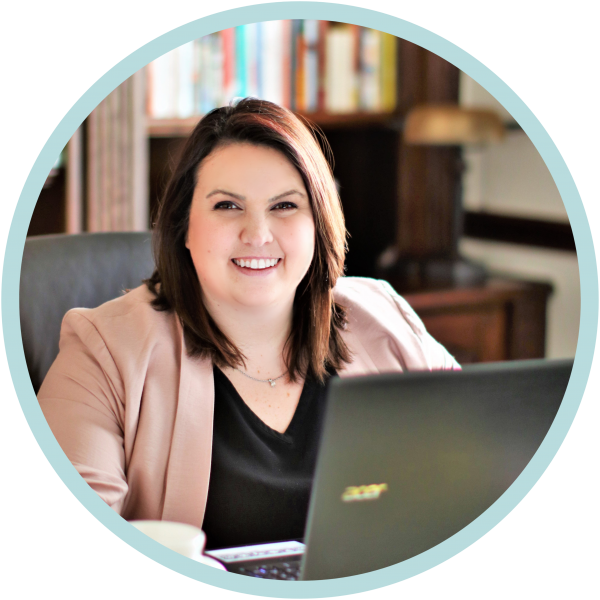 I blog at stepmomming.com where I provide comfort and guidance for overwhelmed stepmoms, encouraging and helping them to write their own happily ever afters. You can find [step]momming on Instagram, Facebook, and Pinterest.